LAST GAME 11/11/10: Ravens 21 at Falcons 26. Atlanta QB Matt Ryan throws for 316 yards & 3 TDs. Falcons WR Roddy White records 12 catches for 138 yards & 2 TDs. LAST GAME AT SITE 11/19/06: Ravens 24, Falcons 10. Baltimore RB Jamal Lewis rushes for 91 yards & 3 TDs. Ravens WR Mark Clayton catches 5 passes for 89 yards. Ravens defense totals 5 sacks. BROADCAST FOX (1:00 PM ET): Justin Kutcher, David Diehl, Laura Okmin (Field reporter). SIRIUS: 133 (Atl. ), 93 (Bal.). XM: 231 (Bal.). 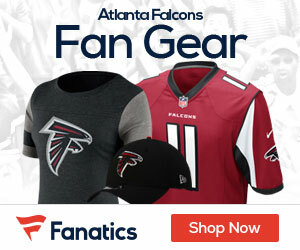 FALCONS: QB MATT RYAN won only start vs. Bal., passing for 316 yards, 3 TDs, 0 INTs & 101.8 rating. Is 1 of 5 QBs in NFL history with 25,000 pass yards (25,322) in 1st 100 career games. When Ryan starts & has 100+ rating, Falcons are 36-2 (.947)…RB STEVEN JACKSON has 3 rush TDs in past 3 vs. AFC. RB ANTONE SMITH had 41-yard rec. TD last week, his 5th TD (3 rec., 2 rush) in 2014. Has 7 career TDs (4 rush, 3 rec. ), all 35+ yards…WR JULIO JONES has 30 catches for 410 yards (102.5 per game) & 1 TD in past 4 vs. AFC. Leads NFL WRs with 44 catches & is 3rd with 620 yards. In last meeting, WR RODDY WHITE had 12 catches for 138 yards & 2 TDs, incl. GW 33-yard TD with 20 seconds left…DE OSI UMENYIORA had 50-yard FR-TD vs. Bal. on 12/12/04 (with NYG). DE JONATHAN MASSAQUOI had sack last week & leads team with 2 sacks. LB PAUL WORRILOW leads team with 64 tackles. CB ROBERT ALFORD has team-best 7 PD…RAVENS: Last week, QB JOE FLACCO threw 5 TDs 16:03 into game, fastest player to reach mark since at least 1970, & is 1st QB with 4 TDs in 1st qtr. since 1986 (TOMMY KRAMER). In only meeting, passed for 215 yards with 3 TDs & 1 INT for 99.5 rating. In past 8 vs. NFC, has 2,095 pass yards & 19 TDs with 100.8 rating, including 6 games with 2+ TDs…RB JUSTIN FORSETT has NFL-best 6.4 rush avg. (64 att., 408 yards). Rushed for season-high 111 yards on 14 att. (7.9 avg.) last week. RB BERNARD PIERCE scored 1st rush TD of season vs. TB…WR STEVE SMITH, SR. scored 3rd 50+ yard TD of season last week, becoming 4th NFL player with 3+ 50+ yard TDs in season at age 35+. Has 20 catches for 338 yards in past 4 vs. Atl. (with Car.). WR TORREY SMITH has 3 TDs in past 3, including 2 vs. TB…LB C.J. MOSLEY (No. 17 overall) leads team with 55 tackles, most among NFL rookies, including team-high 8 last week. In 2 career meetings, LB TERRELL SUGGS has 3 sacks. LB ELVIS DUMERVIL has 5 sacks in past 5 vs. NFC.